Clemens August Graf von Galen came from an aristocratic Catholic family. After studying theology he was ordained as a priest in 1904 and appointed Bishop of Münster in 1933. Galen was regarded as nationalist and conservative, but this did not prevent him from opposing National Socialist attacks on the Church, Catholic associations and schools as early as 1934. He publicly denounced National Socialist infringements and injustice on many occasions. With the Berlin bishop Konrad Graf von Preysing, Galen was seen as an important spokesman for the opposition within the Church. In the summer of 1941 Galen delivered three sermons that have become famous, in which he publicly attacked the Gestapo’s terrorist methods, the murder of patients in psychiatric clinics and homes, and the state confiscation of monasteries. The sermons were widely publicized both in Germany and abroad. They were broadcast by Radio London, scattered as leaflets from Allied airplanes and copied and distributed by many Germans. Yet the National Socialists did not risk arresting the popular Bishop of Münster. 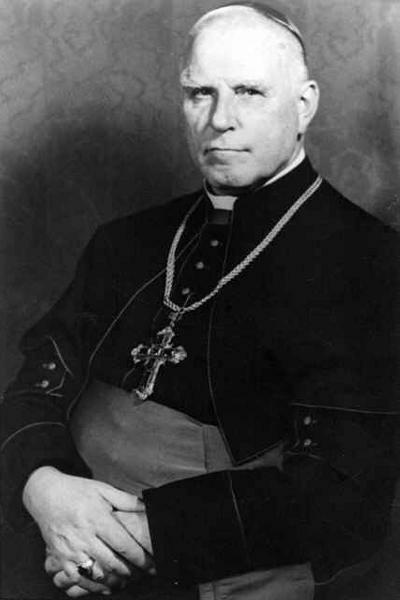 Galen survived the war and was appointed a cardinal shortly before his death in 1946.